In a recent communication to the European Parliament, entitled “Options for an EU vision and target for biodiversity beyond 2010”, the European Commission noted that “The promise of permaculture as an effective protector and restorer of biodiversity should be explored and enhanced”. As advocates of permaculture, naturally we agree, and believe that education should form a key part of any strategy to enable this exploration and enhancement. However, permaculture education across Europe has not developed uniformly and as a consequence a patchwork of education systems, curriculum standards and pedagogical approaches now exists. Some countries have well-developed organisations and systems in place that have developed over the last 30 years. Others have only been working to develop them for a few years and have comparatively little in place. As a relatively young discipline, permaculture has a small community of people with enough subject knowledge to teach from a position of competence. Many of those who currently do teach permaculture are pioneers at the forefront of practice and only teach part-time. Few have extensive formal qualifications in teaching and education. What is more, Permaculture’s interdisciplinary nature means that it has often defied classification within mainstream educational structures, and courses are often run privately. As a consequence, permaculture teachers have not always been compelled to undertake any teaching qualifications or enjoyed the support of continuing professional development activities of mainstream professional teaching bodies. However, there is a genuine desire among these teachers to inspire and empower their students, and a recognition that teaching must be of a high quality to achieve this. Consequently there is a high demand from many teachers for knowledge about teaching methods, and a desire to professionalise their practice. At the same time, teachers from mainstream education are increasingly crossing over into permaculture with a wealth of teaching skills and knowledge to offer other permaculture teachers, but a need to develop their subject knowledge. There are also apprentice teachers who are new to both the subject and to teaching, who are seeking to develop their skills and knowledge, but lack opportunities to do so in their country as there is currently a low level of permaculture activity there. Creating a network including all these communities of teachers/learners will enable two-way sharing of information about both subject and didactics. Meanwhile, pedagogical theories have evolved rapidly, based on recent developments in neuroscience and up-to-date understanding of educational psychology. These new ideas have gained acceptance at different rates across Europe. Permaculture teachers in some countries have developed highly creative, experiential & learner-centred teaching methods while others still use a more traditional lecturing style. This is either out of choice (it can be more appropriate in certain cultural contexts) or simply due to a lack of knowledge of newer methods. In this context, exchange in both directions would be valuable: those who espouse creative methods will receive feedback that will inform a deeper understanding of when it is and is not appropriate to use them, and those who have not used such techniques will gain new skills & methods to enrich their practice. 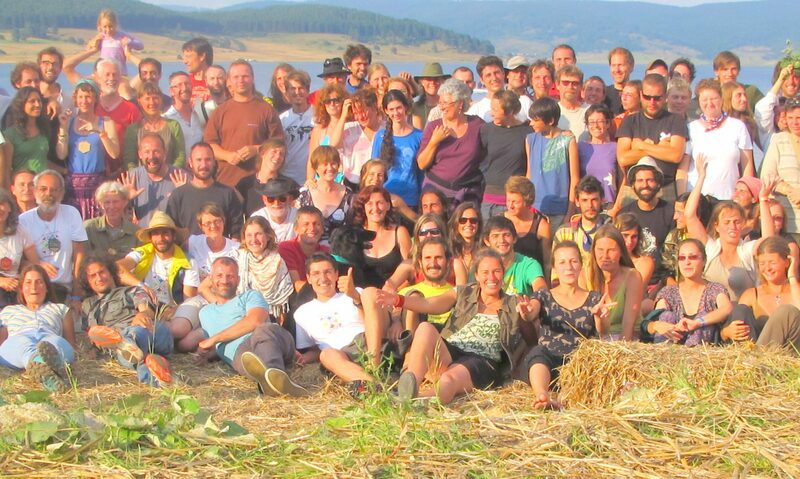 There is also a variety of organisational structures across European permaculture education. Some countries have a national system for adult permaculture education, with a range of accredited qualifications at multiple levels, quality assurance procedures, published teacher development strategies, agreed minimum standards and more. Others are much less developed and would benefit from seeing how other organisations have been established and managed, so that they can develop their own organisations. It is hoped that in the medium term, national permaculture organisations will be able to develop national qualifications frameworks in line with the European Qualifications Framework. The demographic profile of students on permaculture courses in western countries often has good age & gender diversity, but tends to be disproportionately middle class & white. There is a challenge to broaden participation so that courses attract a student body that more accurately reflects the social, ethnic and economic mix of Europe’s population and promote diversity within the permaculture community. There is an internationally recognized Permaculture Design Certificate (PDC) course, but no agreed set of learning outcomes. Consequently there is no consistency in the quality of learners’ experience across Europe. There is a need for a closer network to develop and agree a recommended set of core learning outcomes and that remains in touch about the ongoing adaptation and improvement of the curriculum and the quality of it’s delivery. Several of the partners have indicated that a greater understanding of creative methods, organisational structures, strategies for widening participation and an agreed PDC curriculum would be beneficial for the quality of their courses. At present, however, there is no mechanism in place to facilitate this exchange. At bi-annual European permaculture conferences there is usually demand for exchange about these topics, but insufficient time to explore them in depth, and often a lack of consistency in who is present. Consequently discussions are ad hoc and lack focus, learning is not captured or shared with a wider audience. Finally, the majority of existing permaculture teaching materials are in English. Several of the partners have expressed how useful it would be to have more materials in their own language. This would make entry into a career in teaching permaculture less dependent on strong English language skills. These materials would also be a very useful resource for teachers working overseas. A Learning Partnership focusing on these questions can tackle these needs, improve the quality of training delivery in different countries and enhance the depth and variety of pedagogical approaches and teaching styles available to teachers. All participating organisations are active in adult education around Permaculture (PC). Each brings unique experience of certain contexts within Europe. All partners have insights into working with marginalised social groups present in the various different countries. Some organisations have developed courses before, while others contribute an interesting perspective of urban areas or working with disadvantaged people.